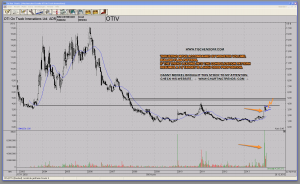 Quick post highlighting OTIV – Oti On Track Innovation that recently has constantly popped up in my volume scans. The stock has put in a thrusting move accompanied by massive volume. Now the stock is consolidating its recent gains and building a bullish flag pattern. Insiders are busy buying shares. Steady positive news flow. This has written potential ‘Game Changer’ all over it. Even if that is not the case, it is very likely something very positive is up with that company. Follow the money and apply sound risk management. Not much else you can do. Then again, there’s nothing else you need to do in order to make money in the long run. If the trend leading into the consolidation pattern resumes we will witness a classic ABC pattern with a price target around the 5 US$ price level. I have a position. We innovate, design and deliver secure cashless payment products and solutions. 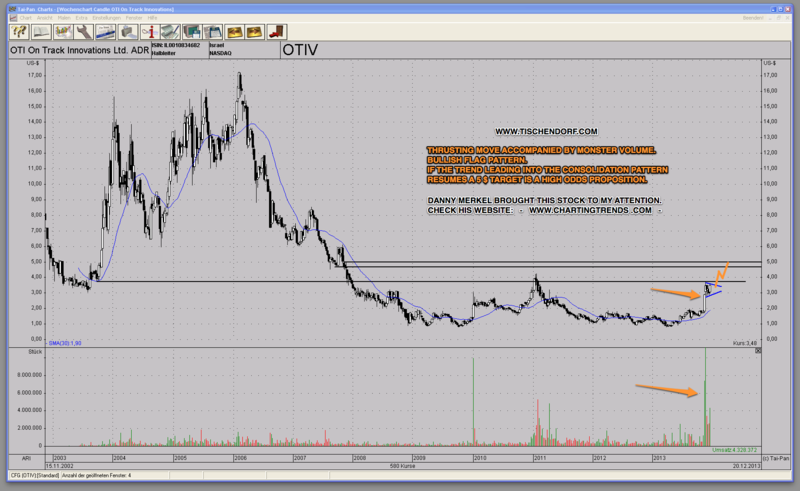 oti (NASDAQ: OTIV) is a pioneer and leading developer of cutting-edge cashless payment solutions. For over two decades, we’ve provided enterprises worldwide with innovative technology that creates new business models, grows revenues, streamlines processes, and creates measurable value for their end users. oti’s field-proven suite of cashless payment solutions is based on an extensive IP portfolio boasting 24 patent families and over 100 patents and patent applications worldwide. Since 1990, we’ve built an international reputation for reliability and innovation – deploying hundreds of solutions for banking, mobile network operators, vending, mass transit, petroleum and parking.To support solutions deployed in 55 countries across the globe, oti operates a global network of regional offices, franchisees and partners.